As the world’s leading yacht charter company, we have a diverse fleet with more than 1,000 yachts, including the latest cutting-edge models from the world’s best manufacturers of catamarans and monohulls. 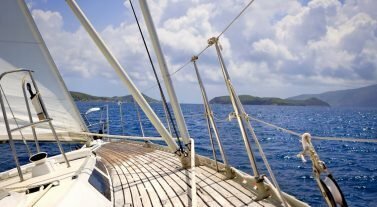 When it comes to planning your bareboat yacht charter or skippered sailing vacation, choosing your perfect yacht can be the hardest challenge. The difference between catamarans and monohulls really comes down to personal preference. Our expert team is on hand to help you choose the best boat for your sailing vacation. Entertainment: If you are chartering with a large group of friends or family, a catamaran is the perfect floating hotel. They offer plenty of communal areas to get together. 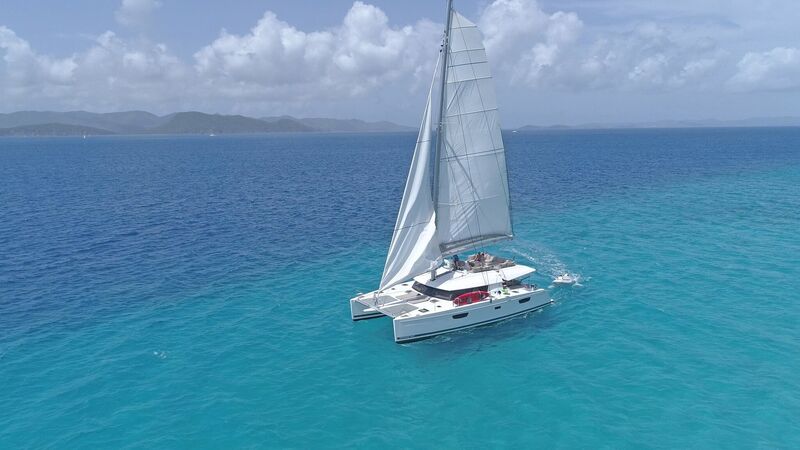 Comfort: The superior stability of catamarans make them perfect for families sailing with young children and more enjoyable for guests who need to get used to their sea legs. The thoughtfully designed cabins offer modern comfort after a long day of exploring on and offshore. Space: Catamarans have plenty of deck space for sunbathing, privacy for mid-afternoon naps and ample room for lounging or group dining. Our catamarans range in size from 38ft to 52ft – sail yourself or hire one of our skippers to sail it for you. Watersports: Catamarans have the extra space for water toys and sporting equipment, such as kayaks, paddleboards, water skis and inflatables. Exploring from the beach: Catamarans have a shallow draught and are able to get close to the beaches. Sometimes you can literally step off the boat and onto the beach, making it easier to go ashore without the dinghy or water taxis. To get a feel of the atmosphere on board one of our catamarans, read our interview with the crew of CruiseNautic, which is available with a crew for private hire. Hear what one of our customers had to say about her French Polynesia vacation aboard a crewed catamaran. Take a look at our all-inclusive crewed yacht charters and organized by the cabin sailing vacations. A true sailing experience: A monohull is an ideal option for anyone who wants to have the classic sailing adventure, whether they are a sailor or not. If you are an accomplished boater, take the helm yourself and if you aren’t, then you can hire a skipper to do the sailing for you. Adrenaline lover’s choice: Our monohulls deliver sailing that is fast and exhilarating. These boats give you optimal control, whether the conditions are flat and calm, or rough and wild. It’s a wonderful option for those who love the sporting aspect of sailing. Manoeuvrability: Monohulls can make sharper turns and navigate easily through narrow channels and tight spaces. Couples or individuals with sailing experience and who are seeking the thrill of the sail need look no further. Couples and smaller groups: Our well-maintained monohulls offer every creature comfort for those looking for a real sailing adventure and feeling the lean into the wind. To choose the perfect yacht for your next sailing vacation, contact our team for more information. Email us at infona@dreamyachtcharter.com or give us a call at 855.650.8902. Am I Qualified to Bareboat?